Kansiime is a woman from Uganda who needs $249 to fund hernia surgery. Kansiime is a farmer from Uganda. She is a mother of four children. For 12 years, Kansiime has had an epigastric hernia. The condition causes her pain. 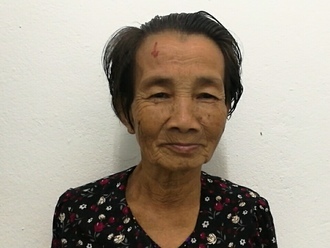 Fortunately, on March 20, she will undergo hernia repair surgery at our medical partner’s care center. Our medical partner, African Mission Healthcare Foundation, is requesting $249 to fund Kansiime’s surgery. Once completed, this procedure will hopefully allow her to live more comfortably and confidently. Kansiime's case was submitted by Robert Kariuki at African Mission Healthcare Foundation in Uganda. Kansiime was submitted by Robert Kariuki, Process Coordinator at African Mission Healthcare Foundation, our medical partner in Uganda. Awaiting Kansiime's treatment update from African Mission Healthcare Foundation. Kansiime is currently raising funds for her treatment.